Every week, we bring you a must-hear track from the Le Guess Who? 2018 line-up. This week, we dive into Cüneyt Sepetçi's rowdy take on Turkish gypsy music. 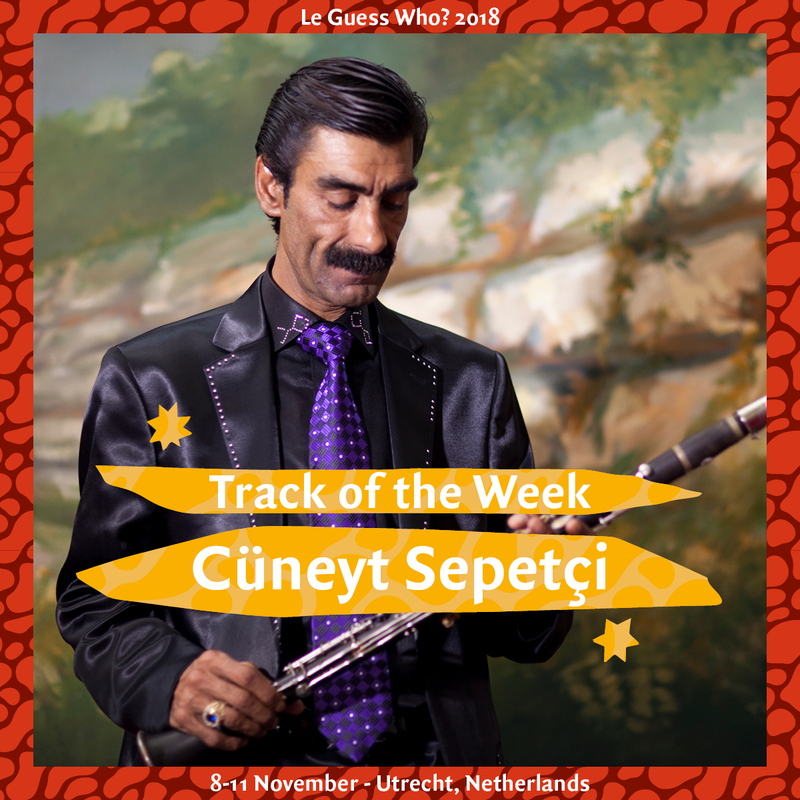 Hailing from the district of Dolapdere, which is mainly populated by the Romans of the city, Istanbul's clarinet maestro Cüneyt Sepetçi takes a central role in providing his city with wild, celebratory music. Ranging from weddings to circumcision ceremonies and parades, Sepetçi and his Orchestra Dolapdere have an utterly futuristic and inimitable approach to traditional Turkish gypsy music. Led by Sepetçi’s virtuoso clarinet playing and drawing inspiration from folk music all around South-East Europe, his latest album ‘Bulgar Gaydasi’ is a fierce expedition into modern Turkish wedding and party music. Closing off his second full length is this week’s track ‘Sebastien’: a song that finds the sweet spot between ancient, infectious melodies and stormy rhythms. Cüneyt Sepetçi will perform at Le Guess Who? 2018 together with a.o. Art Ensemble of Chicago, Anoushka Shankar, Colin Stetson, Beverly Glenn-Copeland, Rizan Said, Emel Mathlouthi, Tirzah, Midori Takada, AMMAR 808, and many more.